After initial inspections, the cast-iron feature will be removed piece by piece this summer from West Princes Street Gardens before being repaired and returned in Spring 2018. Edinburgh’s Lord Provost, Frank Ross, said: “Edinburgh boasts statues and monuments at almost every turn. Yet, out of the 200 monuments in our care, the Ross Fountain stands out as one of the most timeless. 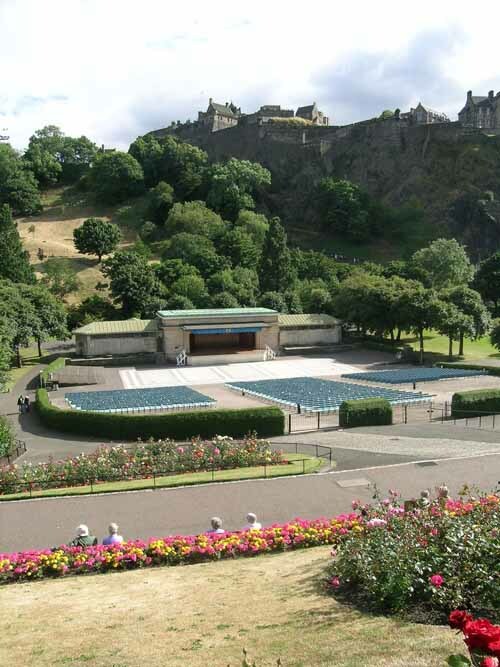 The Ross development Trust is undertaking a series of projects in West Princes Street Gardens in partnership with the City of Edinburgh Council, including the restoration of the Ross Fountain, refurbishment of the Gardener’s Cottage and a new Ross Pavilion. The conservation will be carried out by Industrial Heritage Consulting Limited, which worked with Lost Art Ltd in 2013 to restore the Grand Central Fountain in Paisley. Their engineers will temporarily remove the Fountain this summer to renovate the internal structure and return it to full working condition. Further information of the Ross Development Trust and updates on the progress of the restoration will be available at: www.rdtrust.org. 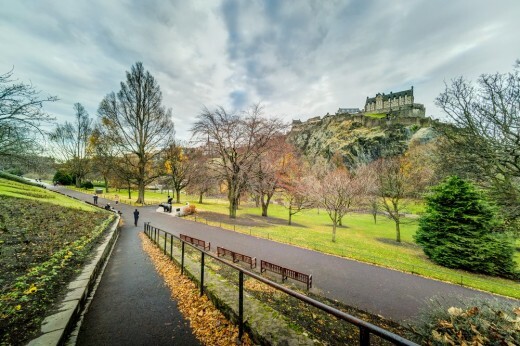 The Ross Development Trust in collaboration with the City of Edinburgh Council and Malcolm Reading Consultants announced the seven finalist teams who will proceed to the second stage of the Ross Pavilion International Design Competition. The competition is searching for an outstanding team of architects, landscape designers, engineers and other specialists for the new circa £25m Ross Pavilion and Gardens project in the heart of Edinburgh. 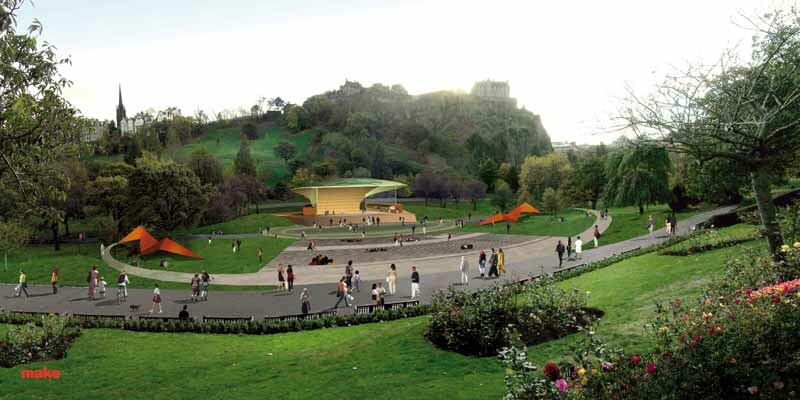 The City of Edinburgh Council wishes to select a team to prepare a design for a new outdoor performance space in Princes Street Gardens, Edinburgh. 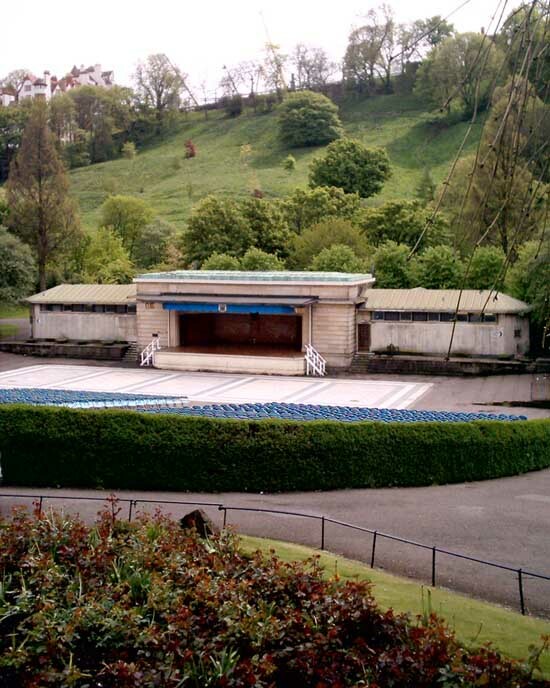 A scoping study was carried out to consider options for the replacement of the existing Ross Bandstand built in 1934. The study identified several options and established a budget of approximately £14m for construction works. A design competition was considered by the City of Edinburgh Council to be the most effective method for selecting the design team for this prominent site. 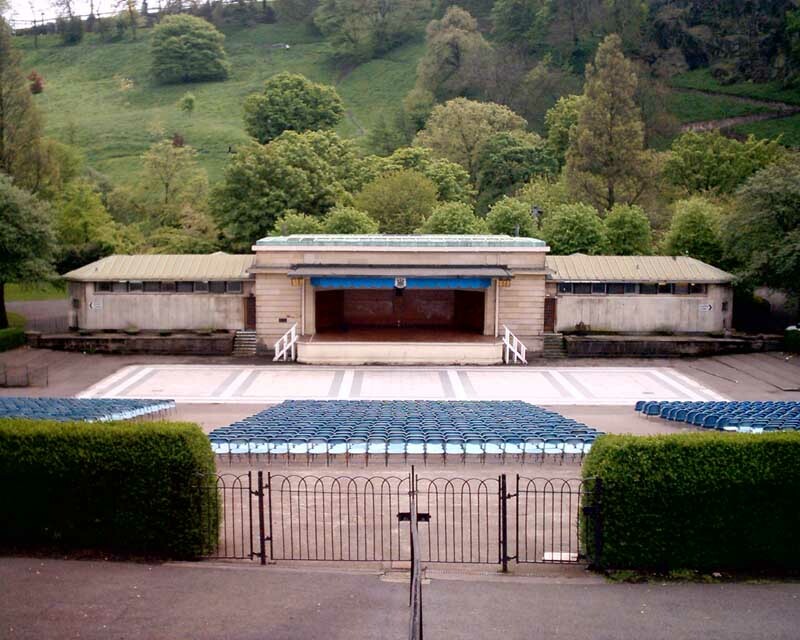 The closing date for notes of interest re the Ross Bandstand Competition is 8 Jan 2007. Envisaged number of participants: minimum number 3 /maximum number 5. Deadline for entering 8 Jan 2007. Ross Bandstand feasibility study for CEC: a scoping exercise to establish the brief for what will probably become a design competition/tender. 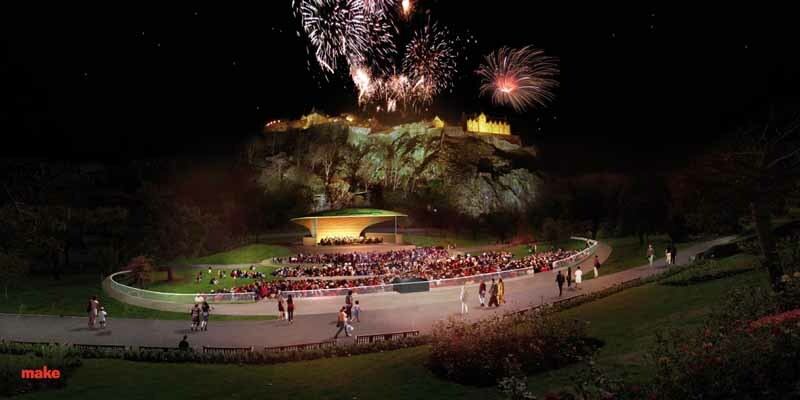 The proposals will provide a new multi-function performance space that will be capable of accommodating the scale of events, such as Hogmanay and the Festival Fireworks, that currently require a temporary stage to be built in front of the existing bandstand. 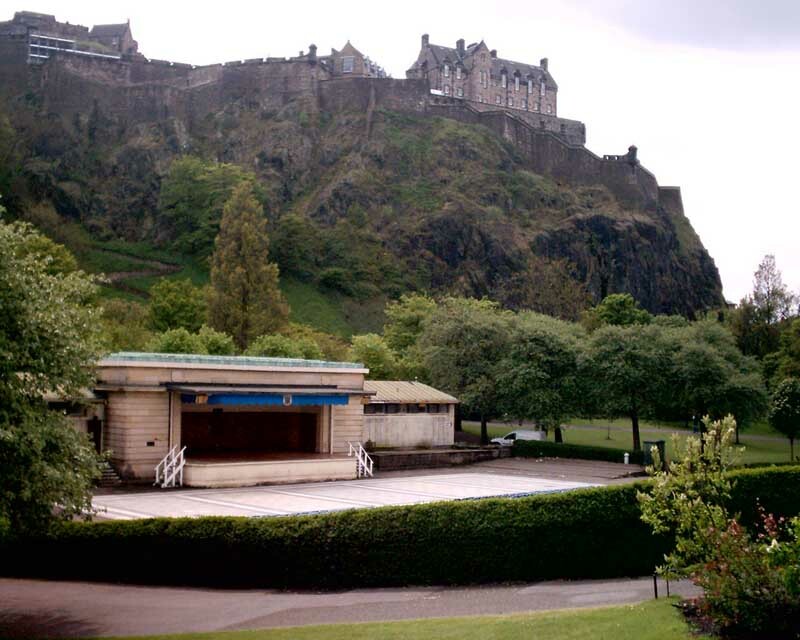 A new bridge over the railway tracks is proposed so that the bandstand can be serviced directly from the back of the stage. This will avoid the significant disruption to the Gardens that is currently experienced when they have to be closed off for a week before, and after, such events. New stair and lift access from Princes Street is also proposed to improve access for those with limited mobility or buggies. A new, stepped, stone auditorium is proposed with a core capacity of 5000, with an additional capacity of 5000 provided by temporary seating on the new, paved, public space in front of the stage, and on re-modelled areas of grass. All of the back of house facilities for the Bandstand, and toilets, will be concealed below the stage and adjacent grass banking. The proposals illustrate three different approaches to the Bandstand structure which have been prepared to stimulate debate in the consultation process. Artist Keith McCarter has been working with the team on the form of the structure. The most important aspect of the design studies is how the new Bandstand can become a positive catalyst for encouraging more life and activity in the Gardens when it is not in use for an event. The feasibility study will now be considered by the Council, in consultation with other stakeholders, with the aim of establishing a brief for the re-development of the Bandstand. make architects, Arup and Unique Events have won an open competition, organised by the City of Edinburgh Council and Scottish Enterprise Edinburgh and Lothian, to undertake a scoping study to examine a range of options on how the bandstand might be redeveloped. The project will be managed by Arup with make’s Edinburgh studio leading the design with Ian White Associates and Thomas and Adamson. 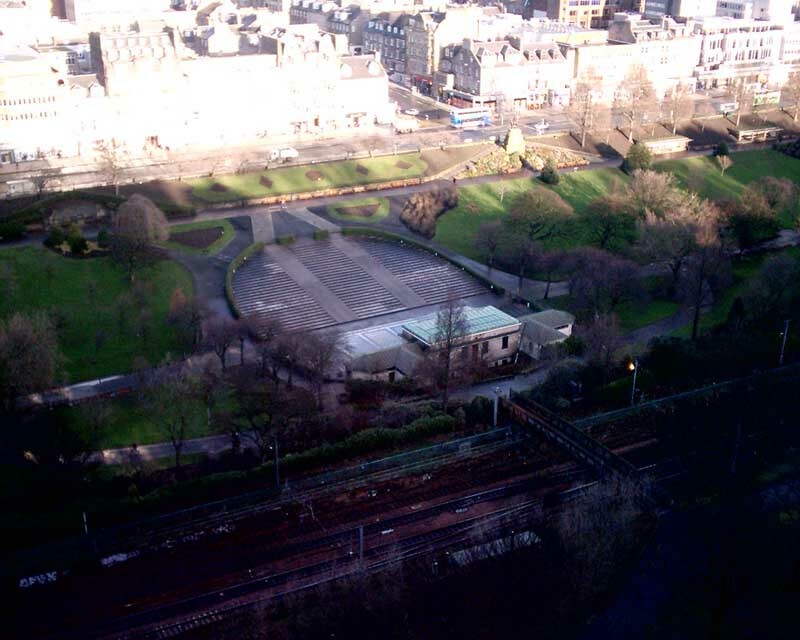 Adjacent is Princes Street and towering over the site to the south is Edinburgh Castle. make architects are also involved in designing an island and tower in Granton by the harbour. The tear-drop shaped island was criticised by AD+S in Mar 2006. The nine-acre island was to feature a 30-storey hotel and luxury flats.